Computer Repair, Upgrade and Tune up! Your One Stop, Computer Repair, Maintenance and Development Shop! Don't want to drive all the way to Albuquerque to get your PC fixed? Don't worry! We've been servicing the East Mountains, Edgewood and Moriarty for over 15 years! Broken screen or keyboard? Need more RAM? Did your computer die but you still have family pictures on your hard drives? 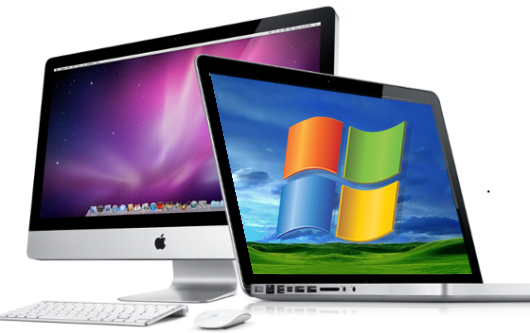 We can order and replace parts for you, and we can retrieve data on a dead PC! Open an e-mail that looked suspicious? Did your child download a game and now you have ads everywhere? Don't worry, you don't need to buy a brand new computer. We remove virus'. malware, bloatware, and spyware. Could a snail crawl faster than your computer is loading? Let us help! We clean both inside and outside the computer. The non useful data inside your computer slows it down just as much as those cobwebs forming under your desk. Welcome to Automated Systems, Inc! The business owner is Nancy Carpenter who has been working with computers, networking, medical development and more for over 25 years. She was previously a Certified Advanced Facilitator at University of Phoenix and currently is serving as President of the East Mountain Chamber of Commerce. She finds her passion in the newest technology and specifically in home healthcare. We strive to help people by providing extraordinary service and expert repairs using only the highest quality parts available. ASI helps businesses and individuals get their work done easier and faster by using technology. We have been serving the East Mountains and Albuquerque for over 15 years. Give us a call at (505)281-2393 to see how we can help you today! You'll be greeted by our friendly service technicians and knowledgeable personnel.